One of the best things about my role at MMS is that I get to experience some of the latest smart devices on the market. Some devices are fun to explore while others simply make me say, “Meh.” The Samsung Galaxy S5 is one of those devices that, at first glance, is uninspiring. But when you take a deeper look, you discover that the Galaxy S5 is more functional, elegant, and user-friendly than previous generations. Samsung’s Galaxy S5 falls into the “fun to explore” category, but not quite earth-shattering. If you are at the end of your Galaxy S3 contract, then the Galaxy S5 is going to blow you away. However, the changes from the S4 to the S5 are incremental at best. They are more “evolutionary” than “revolutionary.” Strangely enough, that is fine by me. Here’s why. The Galaxy S4 came loaded with features that most users didn’t know or care about. For example, few S4 owners used the smart pause or smart scroll functions. The camera was loaded with options that a professional photographer would die for, but the average user simply didn’t want or need. The device also had plenty of Samsung bloatware that took up precious memory and served no useful purpose. Samsung took a smarter approach with the Galaxy S5 and sought to simplify by toning down the extraneous features. As such, the Galaxy S5 feels more functional and less overwhelming than the S4. One of the benefits of the simplification is improved battery life. My battery will typically last about 15-17 hours before I have to place it on the wireless charger (sold separately). The Galaxy S5, runs Android 4.4.2, also know as “Kit Kat,” and delivers a relatively good user experience. The updated Touchwhiz UI is better than previous versions, but some of the lag that users have complained about for years still exists. The highlights of the device are the 16MP rear camera, which takes stunning pictures, an incredible 5.1” Super AMOLED display, and a lightning fast quad-core processor. It comes with either 16GB or 32 GB of internal memory and supports a 128 GB microSD card. Also included are Google services such as Chrome, Drive, the Play Store, and Hangouts (similar to iOS iMessages and Facetime – but can be used across platforms, making it a better option). Additionally, the Galaxy S5 is rated IP67. This means that the device is water-resistant as well as dust resistant. You can drop the Galaxy S5 into water as deep as 3 feet and it can safely stay submerged for up to 30 minutes. I would still use caution, though. I probably won’t take my device into the swimming pool with me; however, I wouldn’t fret if I got caught in a rainstorm or accidentally dropped it in the toilet. One feature that I like is the built-in heart rate monitor – the first of its kind for a smart device. Located on the back of the phone just under the camera, you can place a finger on the monitor and get an instant readout of your heart rate. This feature is great if you want to do a spot check during workouts, but it will not provide an ongoing reading. To wrap things up, the Galaxy S5 is not a major upgrade from the Galaxy S4, but it has been refined to make it a more functional device. The large screen is impressive and the 16MP camera packs a punch. The heart rate monitor is interesting, but since it doesn’t track ongoing activity, I can’t see it as something people will incorporate into their daily lives. 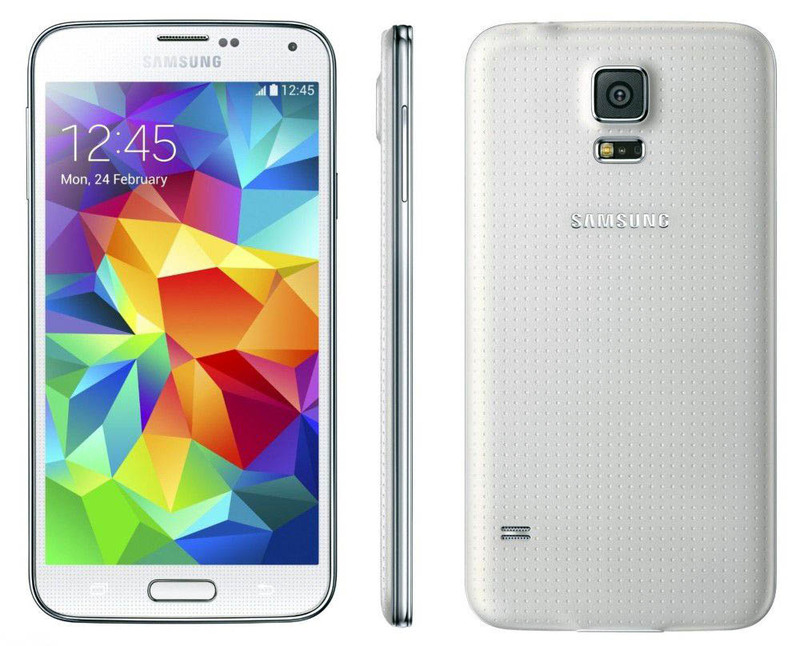 Although the Galaxy S5 is not a groundbreaking device, it is one of the best smart phones in market. If you’re a current S4 owner, the new features may not compel you to upgrade. But if you have an older phone or want to switch to an Android device, the Galaxy S5 is a great choice. P.J. is a writer, father, and husband who shares his thoughts at Dear Mister Man.